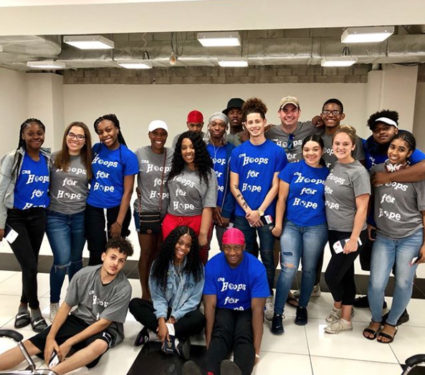 Keeping hope alive was on the agenda this summer for Cristo Rey Brooklyn H.S., Flatbush. Staff, alumni and a group of 18 rising seniors went to Guatemala for their fifth annual Hoops for Hope Service Project. They spent time together in the Central American country as part of a service trip that allowed them to work on completing a basketball court for the local Guatemalan community.